*This post is brought to you in partnership with Blindsgalore.com. All opinions are my own . . . but you already know I have lots of those, right?? I hear it all the time from friends and family building homes that the hardest element for them to decide on is all the window treatments. It’s right up there with light fixtures. Both can be a big investment and you certainly don’t want to regret your purchase. 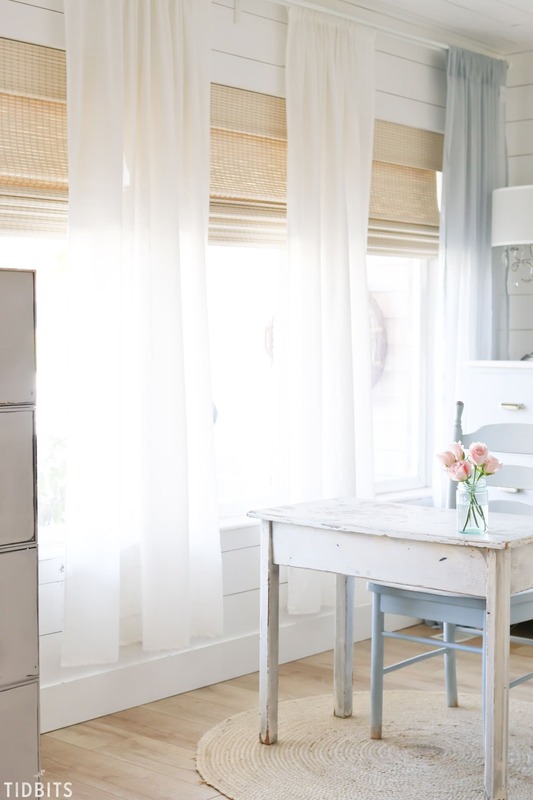 After I’m able to put aside my envy and longing to build a home from scratch ourselves, I’m able to offer a few suggestions based on window treatments we’ve had and loved, and others I haven’t loved as much. 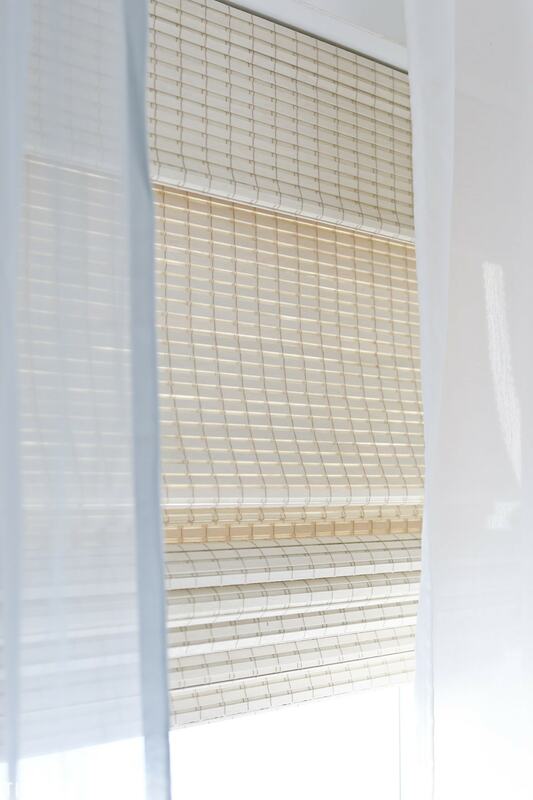 I showed you our natural woven shades in my home office reveal, and would like to tell you a bit more about them. They have been my absolute favorite shades of all time! Please allow my little assistant to showcase how easy they are to lift up and pull down – no cords needed with the options I choose. This room at the front of our house has a 3 pane window, which is great for light. 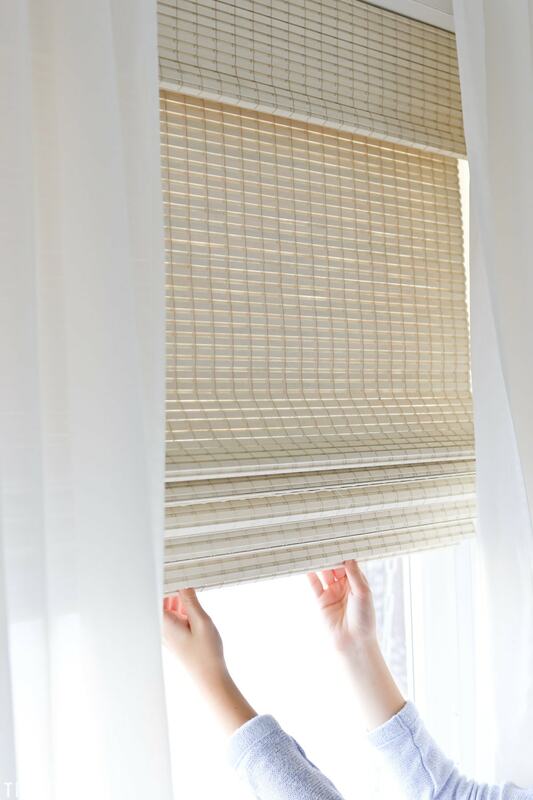 Not great for privacy and tricky to find blinds that would look good on both the inside and outside. But I sure found some beauties at Blindsgalore.com in the Natural Woven Shades selections. The particular weave I picked was the Montserrat Driftwood. They look stunning up, down, in or out. 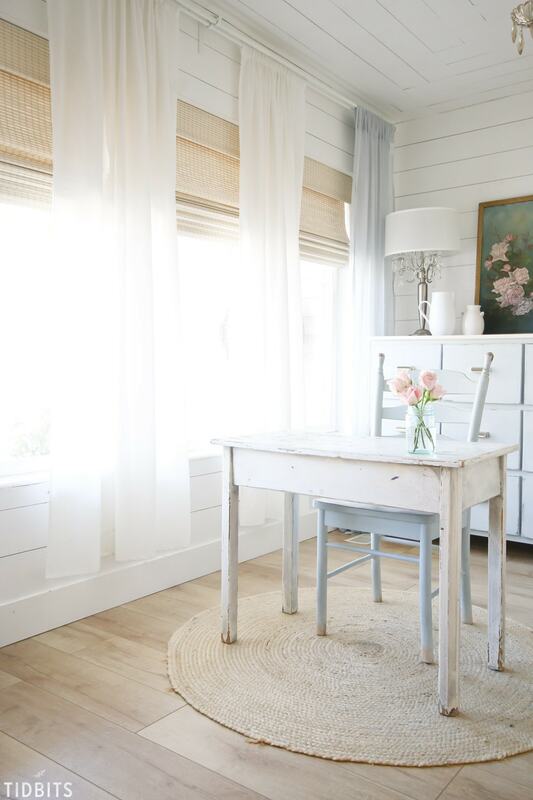 Even being a light neutral color, the texture in the woven blinds compliments the space beautifully, and I love that they coil up like a roman shade. 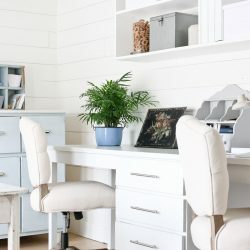 If you are on the market for some blinds or ever find yourself in need of some, I highly recommend Blindsgalore.com . We also have some of their faux jute roller shades in our Master Bedroom that we’ve loved for years now. I know that there are many online Blind companies you could choose from, but I love the customer service at Blinds Galore. After you’ve shopped around, and got an idea for the type or variety you would like, I would recommend giving them a call and talking through your needs and the options you are considering. I wanted samples of several I had picked, but were sent suggestions for others they thought I would like. Montserrat Driftwood was one of their suggestions and I never would have known how lovely it was based on the online image. Definitely take the extra step in this investment to have a free consult call with them. Well worth it! (Number found on their website). 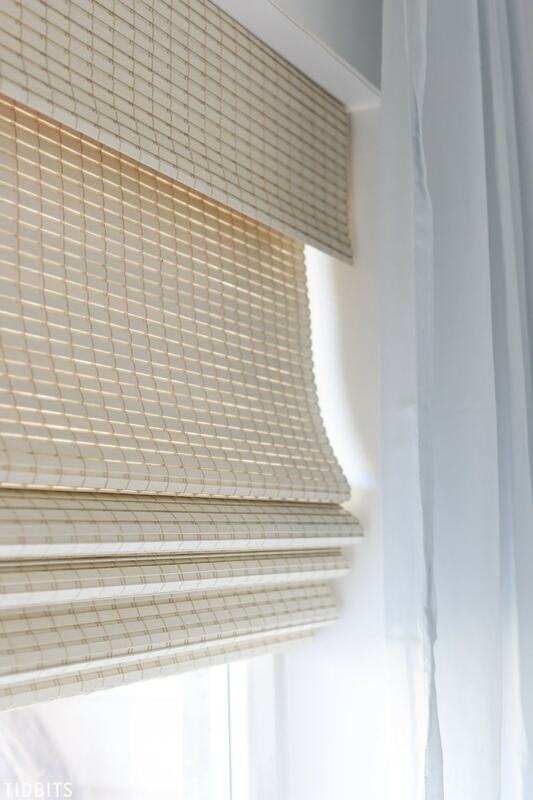 Their blinds and shades come with every option under the sun. Go with cords or cordless, top down and bottom up options, liners, decorative accents and you can even have multiple shades on one track if that suits your space. What I loved about this driftwood was that the weave provided enough privacy itself and I didn’t have to add a liner. But you can certainly do that with most the varieties of blinds and shades they offer. They have just added a feature called the “True Paint Matchmaker Program“, which is unique for any online Blind retailer. 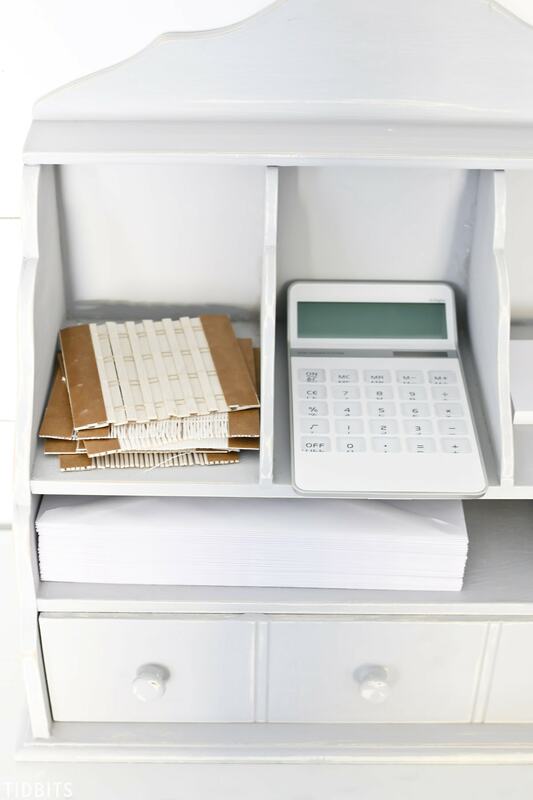 In a nutshell, you input your paint color and they help you find a perfect shade or blind to coordinate or match. Feel free to CLICK HERE to play around with this feature. It’s pretty great, and such a good starting point if you are overwhelmed with the decision. 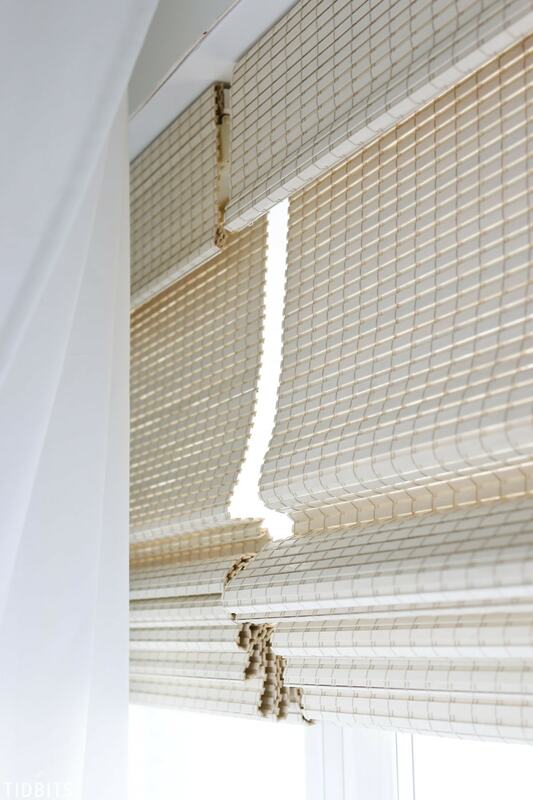 I hope that cleared up any questions you might have had about our natural woven shades. If you need me to touch on anything more, please don’t hesitate to ask. If you are in the blind/shade market, hop on over to Blindsgalore.com and order some free samples to test out in your home! How pretty! I like that they are cordless. I have the traditional mini blinds and I just do not like them all that much. I am pinning this for future reference for when I can replace my blinds. Oh yes, I’ve had plenty of those in my days. They are hard to clean! It’s kind of a big purchase to think about, but I hope you get to someday!! Thank you, but i just bought some. Your assistant is really a cutie and lots of help i am sure. You have a great weekend. Can you post any pictures of what these shades look like from the outside of the house looking in? Thanks! Yes, I’d love to see how they look on the outside too. Did you get the privacy option? 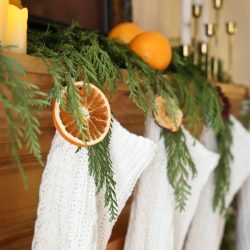 I love the jute-like blinds and just ordered a few free samples from the blinds galore website because of your post. Also love your bedroom even though blue isn’t my chosen color. It’s pinks for me, but am transitioning to more natural colors – creams, whites, etc. As soon as we get our new king bed, I’ll be making a new dust ruffle and pillow shams out of a dropcloths. Thanks for all the advice and decorating ideas. I really enjoy your posts. Awesome loved the idea of cordless blinds.